Services — DeVries & Co.
All of our Cheeses and Meats are available for shipping. Please give us a call at 313-568-7777 or send us an email at info@devries1887.com to talk about shipping any of our specialty items or catering for your next event. Parmesean Reggiano from Italy. We purchase 90 lb wheels and cut them open on site to ensure the freshest cheese possible. Looking for something special for your next event? Contact us about completing a custom cheese tray for your next event. We can work with any budget and our cheese experts will ensure you have the perfect combination for your event. This tray features our French Herb Roule, Cranberry Roule, and English Stilton with Mango and Ginger. 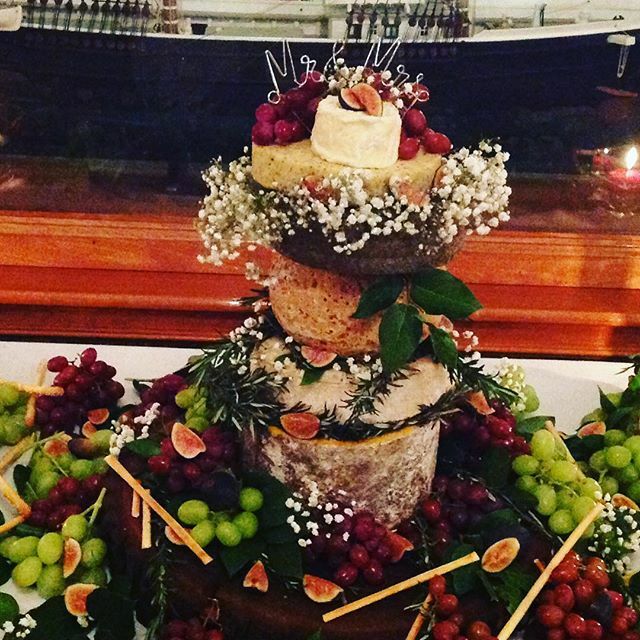 Getting married, or having a special event and just love cheese? Try one of our custom celebration cakes! These cakes are sure to impress everyone.